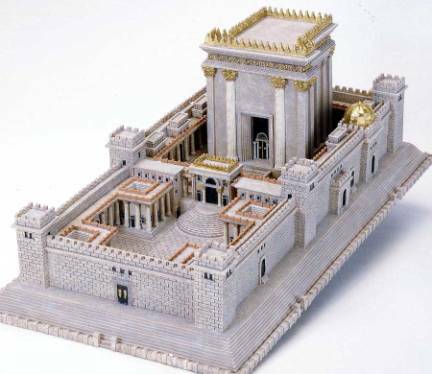 On Sunday, our Biblical focus will be King Solomon’s building and dedicating the temple in Jerusalem. His father, King David, had wanted to build a temple, but through the prophet Nathan, God instructed him to wait. The temple was a mixed blessing to Israel. Like many beautiful cathedrals it provided a place for the worship of God to flourish. Awe and wonder could be expressed in multiple ways within its walls. The book of Psalms captures some of the beauty of that magnificent structure. But as I mentioned in yesterday’s post, the danger of a fixed structure is that we compartmentalize God’s activity and restrict God’s presence to the “box on the hill.” A temple, church or cathedral should draw us into the wondrous presence of God yet also send us out renewed and refreshed to be God’s people in the world. The light of Christ is to shine both inside and outside the sanctuary. A practicing Christian must above all be one who practices the perpetual return of the soul into it inner sanctuary, who brings the world into its Light and rejudges it, who brings the Light into the world with all its turmoil and it fitfulness and recreates it (p. 35). 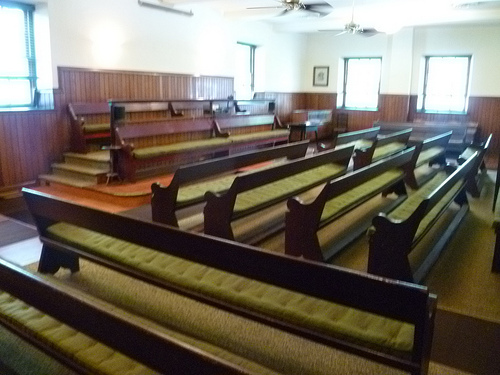 Having worshipped in a simple Friend’s Meeting House, I know that it was not the magnificent space that inspired Kelly’s deep conviction, but rather the Light in the people who gathered to listen and be in the Light. The Light calls us together where we amplify its wavelength in community but then the Light directs us back into the world. Our meeting places are to be launch pads. Lord Jesus, let your light shine in me. This entry was posted in Bible, Narrative Lectionary, theology, Uncategorized, worship and tagged A Testament of Devotion, King Solomon, Psalm 27:4, Quaker, Temple, Thomas Kelly on October 27, 2011 by Pastor John Keller.